While there are a plethora of services out there, some can easily cost upwards of £20k per month for medium-sized accounts. The third in a series of guides to the very best of free resources to help you track, grow and, ultimately, profit from your Twitter account, today we will look at SocialBro. If you haven’t heard of SocialBro before, I don’t know where you’ve been. The service is considered by most to be the biggest and leading marketing platform for Twitter on the market. Early this month SocialBro launched a free service, particularly targeted at smaller businesses, offering access to its cloud-based analytics tools for those with a community of 5,000 social contacts or fewer. 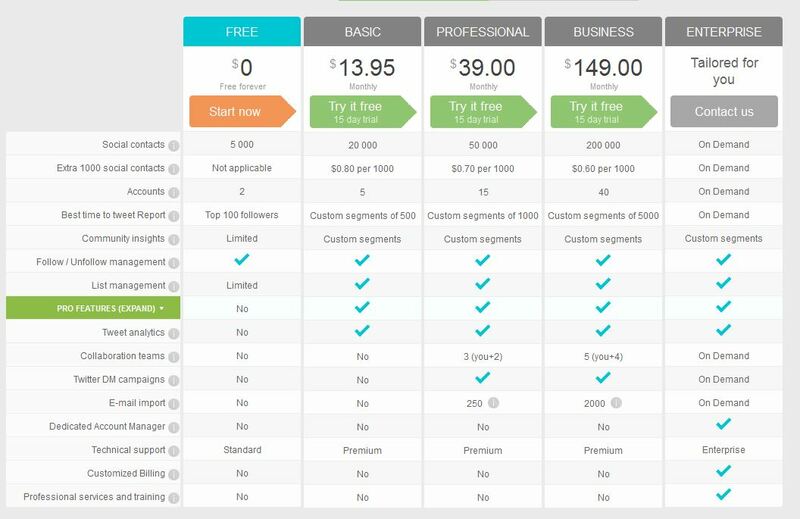 What’s more, up to two accounts can be managed on the free version, although some data is limited to your top 100 followers only. Here’s my quick guide to the free version, with a more in-depth look at the paid options to come soon. The SocialBro dashboard is particularly clean, offering a wealth of information without ever making you feel too overloaded. The usual data is present, including recent developments in follower/following rations. Yet, SocialBro is defined by going the extra mile on each element, and the same is true here. A simple drop-box offers the function to set specific targets for growth and provides a forecast on when those goals are likely to be achieved. Peaks and troughs in following/unfollowing can then be annotated to highlight why those changes occurred, meaning that activity that caused spikes can be repeated and those that caused number to fall can be learnt from. 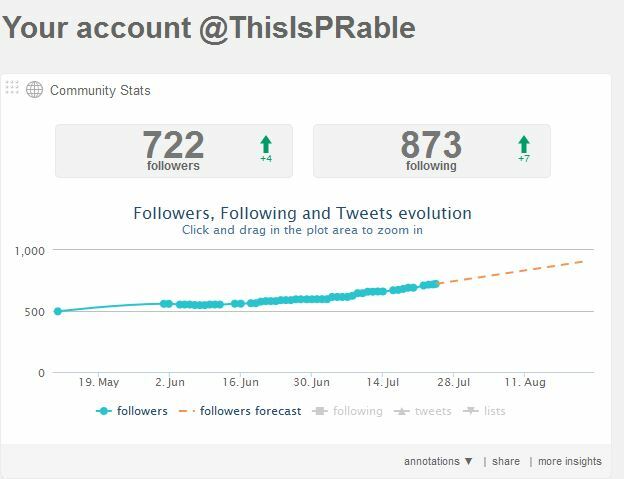 However, where SocialBro really comes into its own is in the insights that it affords for really growing your network and influence. Clicking on these categories provides a full overview of each account in that category. Accounts can then be selected individually or collectively to either unfollow, follow, add to lists, or to export their information. This can play a vital role in connecting with those who can best help grow your account, and those keen supports who you may have overlooked. Similarly, SocialBro’s search function allows you to discover potential connections that may be of benefit. Using keywords, locations or names, the search results can be scaled considerably to create highly targeted results. 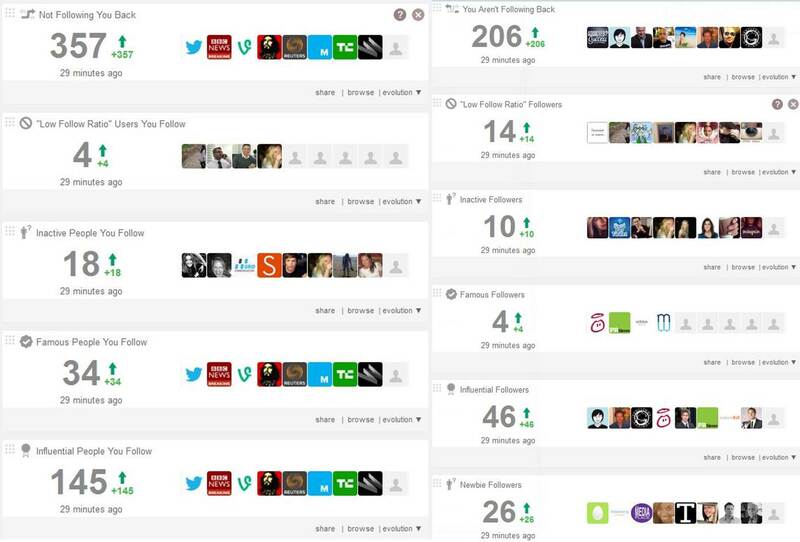 This data can then be used to create bulk lists, connect with or highlight key influencers, or simply check that you are connecting in the right way. Unfortunately this data cannot be exported in the free version, but this is a useful and time-saving ability in the paid option. Let’s be honest, this is a free service, so it is highly expected that some of the flashier elements have been stripped out. On the down side, it can be slightly frustrating not knowing exactly which tools you have access to, and those that are reserved for paid users sit on the dashboard temptingly. Otherwise, there are no obvious drawbacks to the service. It will take you a while to get to grips with, but as with any technology it is all about having a play to fully understand its capabilities. Within an hour I had a pretty good grasp of what was on offer. Ultimately, I would highly recommend that any small to medium sized business or agency sign up for the free service to understand its full applications. I’ll be running a more in-depth look at the paid-for options soon, and with a well-balanced pay model, I am sure that those who sign up for the free service will soon be converted to the next level.